What an incredible end to an incredible season. I still can't quite believe that Arsenal won a trophy a couple of weekends ago. It almost feels like the FA Cup was the first trophy we've ever won, that's how overdue it is. What made it particularly special for me was the success I had with the fundraising. With all your donations, I managed to exceed my target of $15,000 for the Triple Negative Breast Cancer Foundation before the end-of-season deadline. Once again, my thanks goes to everybody that helped me reach that very important goal. With the season now over, and therefore my challenge, I've had the chance to reflect on a memorable roller coaster journey, and I'm quite proud of how I managed to make something feared impossible, possible. I travelled for 8 months, from the start of the football season to the end, never missing a match and always with a roof over my head, despite only having a few grand in my pocket. Actually, it wasn't me that made it possible at all, it was the Arsenal family; without all those warm-hearted people putting me up for a few days each (sometimes a few weeks! ), the trip wouldn't have been viable. People are saying that I've done an amazing thing but the true heroes are Andy, Trevor, Olivar, Jesper, Graeme, Jeff W, Kurtis, Brett, Colin, Miles, Barry, Davy, Jeremy, Par, David S, Kevin, Paul, Blake, Jordan, Channelle, Seth, Nick, Luke, George, Elia, Kanika, Diya, Scott, Phillip, Sean, Matt, Geof, Mick, Jonny, Andrew, Ali, Ahmed, Neil, Shane, Ashley, Adam, Yukie, Kevin, Jeff T, James, Veno, Arsya, Anand, Thierry, Seany, Dung Pham, Running Man and Jay! I think I've remembered everybody, but due to my complete lack of organisation and terrible memory, somebody might be missing, so I apologise in advance! Anyway, the above people are the ones that helped out by giving up a couch, an inflatable bed or a guest room. I was a complete stranger to them but they welcomed me into their homes and set the benchmark as members of the Arsenal family. Bravo. Right now, my focus lies on bringing out a book on my adventure. There's a lot of work to be done, but expect it to be released towards the tail end of the year barring any disasters. If it goes well, who knows, another adventure could be on the cards. Finally, I'm holding a Twitter Q&A session, my first of hopefully many, Tomorrow at 9-10pm UK time. Remember to use the hashtag #AskGOTR. You can ask anything, providing it doesn't get me into any trouble!!! If you're not already following me on Twitter, you can do so here. Well, I'm back in the UK after a monumental trip around the world. It's been successful beyond my wildest expectations, and I have the #GoonerFamily to thank for the majority of it. against Aston Villa, I'd do all that I could to watch the last home match there too. So that's what I did. With Arsenal already guaranteed a top-four finish, the match against West Brom was tension-free. It was also rather tedious to watch if I must admit, apart from Giroud's headed goal. But it was nice to be back at the stadium, particularly as there were a few Arsenal supporters attending who I'd met and stayed with along the journey. Of course, West Brom wasn't the last game of the season. And I had set out to watch every match, live, regardless of location. As is tradition in the UK, every single game on the final weekend of the Premier League is played at 3pm. And as the final game, versus Norwich, had nothing resting on it, there was no TV coverage. It meant I had to get hold of a ticket. Thankfully I've built up quite a following on Twitter and, with nothing decisive to come out of the game, there were tickets popping up everywhere. A nice chap called Shaun sorted me out with one and I was relieved to know I'd be going to watch my last game of the regular season. Scotland, Hong Kong, Malaysia. In a Belgian restaurant. Norwich was, in all fairness, a much better outing for me than The Emirates a week before. For a start, our travelling fans are a great vocal bunch and, with Wembley looming, there was more than enough incentive for our support to get rowdy. Tie that together with a convincing Gunners display and a stunning volleyed goal from Aaron Ramsey, and the day was a hoot. It was definitely a satisfying way to finish off the journey. But, the journey still isn't over. Wembley is this weekend. Our biggest chance yet to get that horrible, ageing monkey off our back. I never imagined that we'd get this far so didn't anticipate there being a hunt for a ticket. To be honest, I was just glad that we managed to get to the final. There were loads of options available for me to watch the game at pubs. And I had something more important to focus on, I still had to find $1400 in time for the fundraising deadline (the 17th May, last day of our season). Yep. I won one of three ticket from Piers Morgan for the FA Cup Final. I was gobsmacked by the amount of people who had suggested, on Twitter, that I should be one of the lucky winners. I've never won anything in my life either. It was truly humbling. I can't quite sum up how it felt to know that A) so many people had put me forward to win a ticket B) I'd won a ticket to Wem-ber-lee! C) Piers Morgan loved what I had done D) I reached my milestone goal of $15k for the charity and E) I would be meeting Piers at his bloody house to pick up the ticket! Craziness. So, I met Piers at his house yesterday at [top secret location]. He really is a good guy, despite what others will say. Some people get a bad rap, but Piers Morgan really is alright, and remember, despite what people say, he is a true Gooner, with his own opinion, much like everybody else. Also makes a good cup of tea! Beyond my wildest dreams, this is how the adventure is coming to an end. Now if we could just lift that cup, please. The win against Newcastle (happy belated St Totteringhams!) was my final game as a Gooner On The Road. It was a convincing display, much like Hull previously, and was a great way to say goodbye to the Arsenal Family. As I write this, I'm sitting at Hong Kong Airport reflecting on what has undoubtedly been the most memorable eight months of my life. I don't really know where to begin either, so many emotions. I think there's some anxiety in there somewhere, some sadness that the journey is coming to an end, but also some excitement about going home and seeing friends and family. The one feeling that I'm sure of though, is pride. I've always been proud to support my club, but over the past eight months I've become proud to call myself a member of the Arsenal Family. You don't just become a member of the the Family overnight. It doesn't happen when you start supporting the club, at least not in my book. There's no application list and no pre-requisites to meet. It's not a circle of trust, or a cult either. 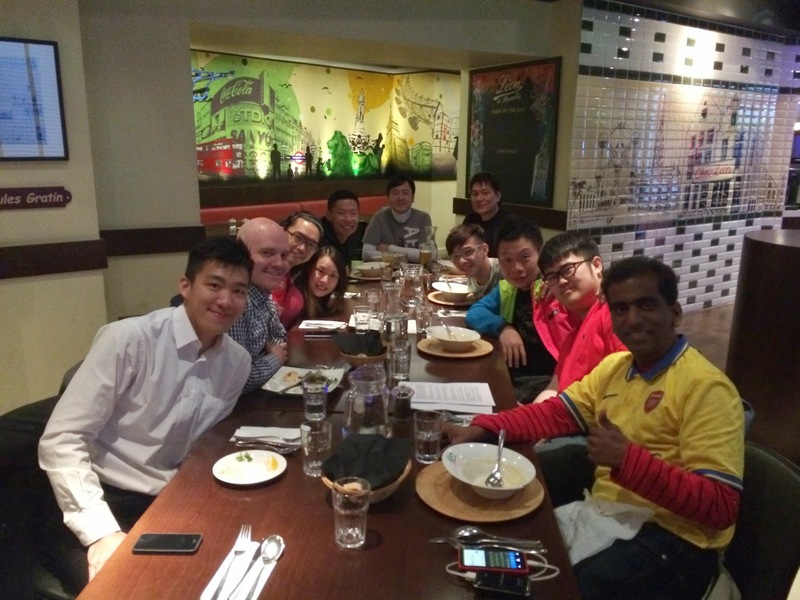 To me, the Arsenal Family is all about camaraderie, trust and hospitality. It is this family that has defined the journey as a Gooner On The Road. Without these fellow fans by my side, the adventure wouldn't have been feasible, I wouldn't have been able to experience the many destinations the way I have done, and of course I wouldn't have raised anywhere near as much for the Triple Negative Breast Cancer Foundation. So, from the bottom of my heart I say thank you to the many, many members of the Arsenal Family that have helped shape such an unforgettable journey. Later on (and by the time most of you will read this) I'll be back in the UK. This doesn't mean that the challenge is over. Due to Arsenal progressing to the FA Cup Final, the deadline for my fundraising has been extended to the 17th May. That gives me just over two weeks to find $2,500 or less than £1,500. My friends have said I've done an amazing job so far to raise the amount I have, and there's truth to that, but it would still feel like a kick in the teeth if I came all this way only to fail to reach the final target by a thousand dollars (imagine us losing in the FA Cup Final against Hull. Similar feeling perhaps). I know I sound like a broken record here but I still need your help. Please, support The Triple Negative Breast Cancer Foundation, and my objective to raise $15k for the charity, by donating here. So it's definitely not the end from me. Expect to see more blog updates with reactions from the West Brom game, where I'll be watching in person (I watched the first home game at the Emirates so it's fitting to do the last there too). I'll also be keeping you regularly updated on the progress of the fundraiser, and of course there will be an announcement, at some point, about my book! As for the FA Cup Final itself, I'm not sure where I'll be yet, but it looks highly unlikely that I'll be going to Wembley, so I'll probably settle for a pub close by. We'll see what happens. 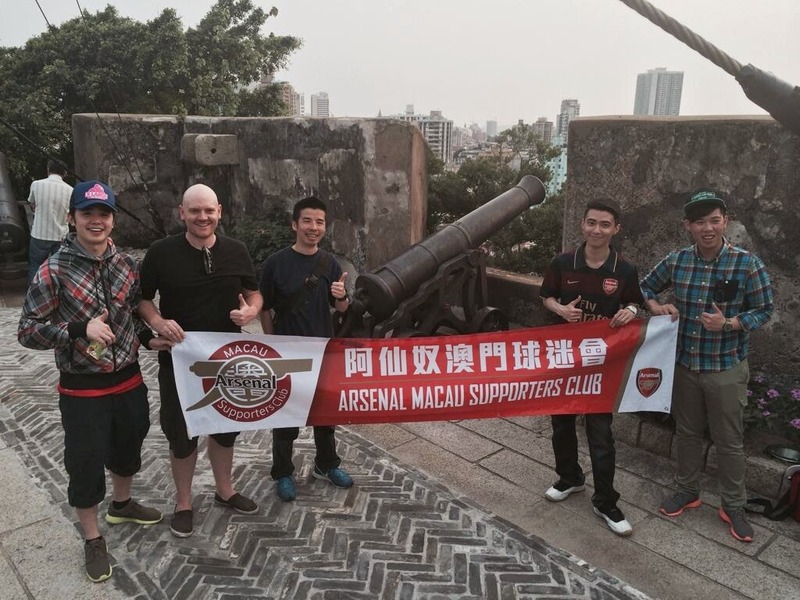 Macau, a special administrative region (SAR) of China, was the fifteenth and final country where I've watched an Arsenal match this season (bearing in mind I've returned to Hong Kong to watch the Newcastle match on the 28th). I watched the match in Macau with a few local fans at a pub called 'Roadhouse'. The Gunners completely dominated Hull, a welcome change to the usual tail-between-legs, 'will-they-won't-they' Arsenal performance of late. It was also a good warm up for the FA Cup Final, though we all know that football has an almost bottomless bucket of surprises. Nothing can be taken for granted in English football....ever. Macau. And some Gooners. And a cannon. This time next week I will be somewhat emotionally returning to the UK, after having watched every single Arsenal match of the season, live, with another Arsenal fan. So that's 52 matches. 8 months. 4 continents. 14 countries. 36 different cities. 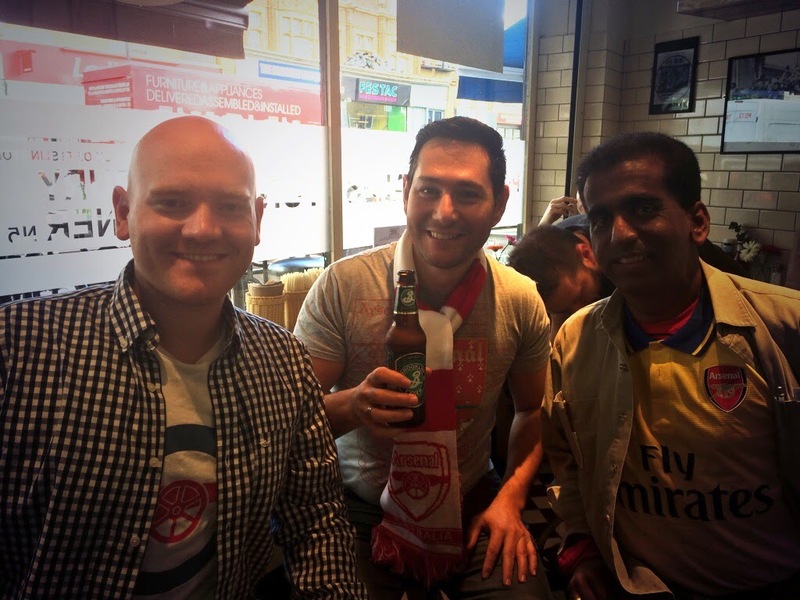 Oh, and more than 50 of the most genuine, passionate and hospitable Arsenal fans around the world as hosts. When I take a moment to look back at those numbers, it's kind of tough to fathom. You see, people come up with ridiculous ideas all the time, things that sound awesome on paper, or in a dream or on a chalkboard, but in reality that vision is rarely executed. Usually it's because there isn't enough time or money, or people's eyes are bigger than their stomach, or there's been a big error in the planning, or time-machines haven't been invented yet (I'm sure that last one has been the stumbling block for many people's big aspirations). I'm guilty of having big ideas and failing to follow through on them and I bet you can think of an example for yourself in the past, too. When I came up with the idea of travelling the world for eight months, watching every Arsenal game of the season, LIVE, with only £5,000 in my pocket, every sensible cell in my brain was telling me it wasn't going to work. Yet here I am, approaching the final sprint. One-on-one with the goalkeeper, whatever you like to call it. There's still a week left to go and although anything can happen, I've exceeded my own expectations, and it's such a humbling feeling to have. And to think that I have the #GoonerFamily to thank for most of it! But, there is one other goal that I'm playing catchup with. And it's the most important of all. For all those that are wondering, I made the decision to return to London for the final home game, as I started the journey this way (against, ahem, Aston Villa). It just felt like the right thing to do, book-ending the journey at the Emirates, Arsenal's home, with every game in-between watched overseas. It also means that I'm going to be on home soil for the FA Cup final, which should tie in nicely with my fundraising efforts. Which is where all you readers come in. As I've just mentioned above, there's one goal that I'm chasing, one that means more to me than anything else. I'm doing this trip for a cause. As hopefully most of you know by now, my mother passed away in February last year from breast cancer. Being part of a small, close family, losing mum was the beginning of the end of the world for me. I was at the lowest point in my life and, perhaps slightly selfishly, I couldn't think of a way to climb out of the dark hole that my existence had turned into. 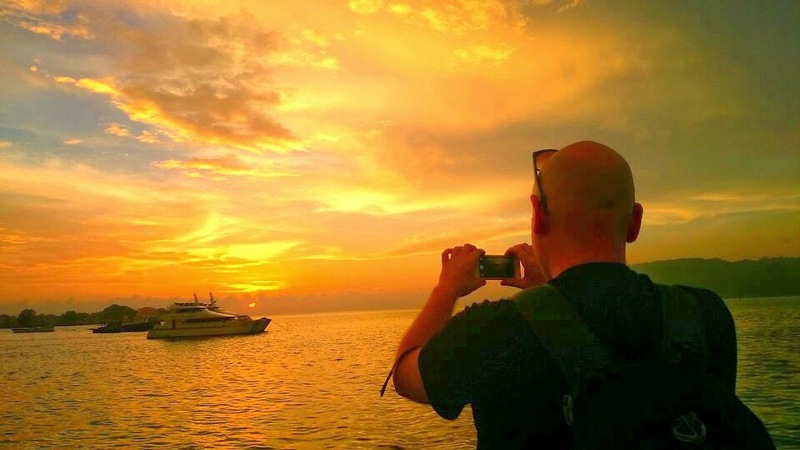 Traveling was an opportunity to heal, a therapeutic journey if you like. 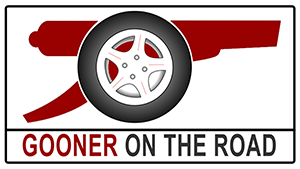 It was during the planning for this journey that I came up with the Gooner On The Road idea. Post by Gooner On The Road. So, if you have a moment, and a spare few quid, please, please donate what you can. I still need to raise $4k between now and the end of the FA Cup Final, and whilst I have a few ideas that could see me getting close to that $15k figure, like Arsenal I'm not taking anything for granted. To support the cause, please click HERE to donate. Remember you can pay with a credit card or using Paypal. And I'm sorry, but if you're not in the US there's no opportunity to claim back tax I'm afraid. OK. Chelsea at the weekend was an embarrassment, and perhaps proof that we simply aren't good (or rich) enough to compete for the title. That being said, our season still isn't over and we have a lot to fight for, not just the FA Cup but making sure we stay as high up in the top-four as possible, with the aim of avoiding another Champions League qualifier in August. We have Swansea at home this evening. If we don't pick up three points, it'll be a key message that drastic action needs to be taken in time for the start of next season. If it were me, I'd drop Arteta. I always try to play the optimist but I know that he's just not up to the job of playing a holding role. It's not even his natural position. Arsenal desperately need a proper holding midfielder, especially with the way our fullbacks play (high up the pitch). And, I think I've finally conceded that we need a true talisman striker. Giroud has practically proven that he's not up to the job and I wouldn't be surprised if he left at the end of the season. It has been made quite clear that there is a good transfer kitty available for the next window. The top two priorities, in my eyes, are a genuine, enforcing defensive midfielder and a clinical striker. I won't bother with any names as that's completely pointless. There are of course other areas which need addressed. The Sagna situation is still unclear, but it looks like he may depart for France at the end of the year to take advantage of the bosman stuff. I suppose you can't really argue too much with him if that's the case. It means we will need to look for another right-back, and whilst I love Carl Jenkinson and his heart for the club, he simply isn't ready for the task in hand. Another important subject is the backup for Mertescielny - is Vermaelen up to the job? The Chelsea match for me, and many others, was a depression-fest. Fortunately I was in Kola Kinabalu in Borneo to watch the match so my surroundings helped cheer me up. In just one day alone for example I managed to take a walk on the beach, drive up a mountain (somewhat), sample local tea and get literally eaten by fish in a freshwater river. It's a truly wonderful experience. 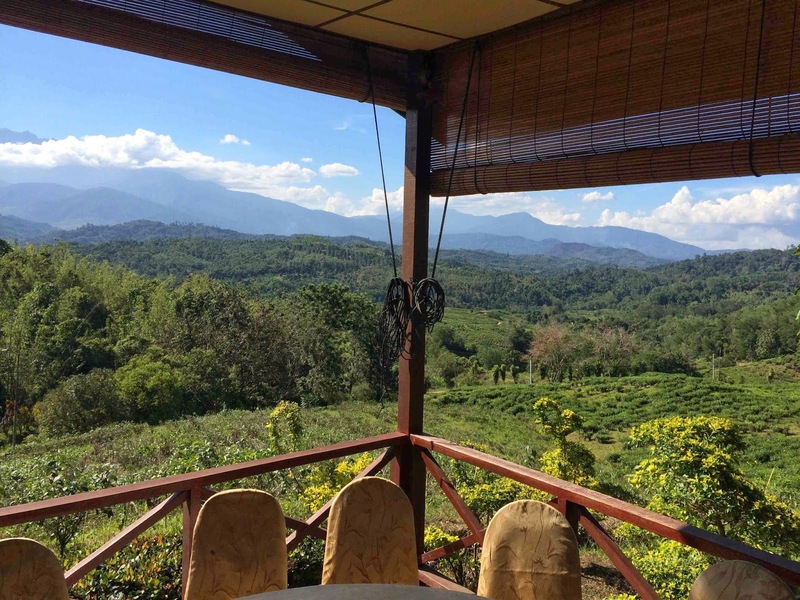 Due to lack of time and funds I didn't get to sample some of the other thrills of Borneo, like a river cruise or jungle walk, but despite this I still highly recommend visiting. I will definitely be coming back here when I can take advantage of the place more. I'm back in Kuala Lumpur now (for the third time) to watch the Swansea match, then, on Friday, I'll be flying up to Vietnam, a country home to tens of thousands of Arsenal fans. It's going to get really interesting!